Fantastic R&B Repro on the original rare 1st label! It didn't seem to much matter whether Fire Records boss Bobby Robinson booked a studio to record slide guitar master Elmore James in Chicago, New York, or New Orleans. Elmore ripped into his own Shake Your Moneymaker at Cosimo Matassa's self-named studio in the Crescent City during the summer of 1961, the Harlem-based Robinson making the trip down to oversee the session. 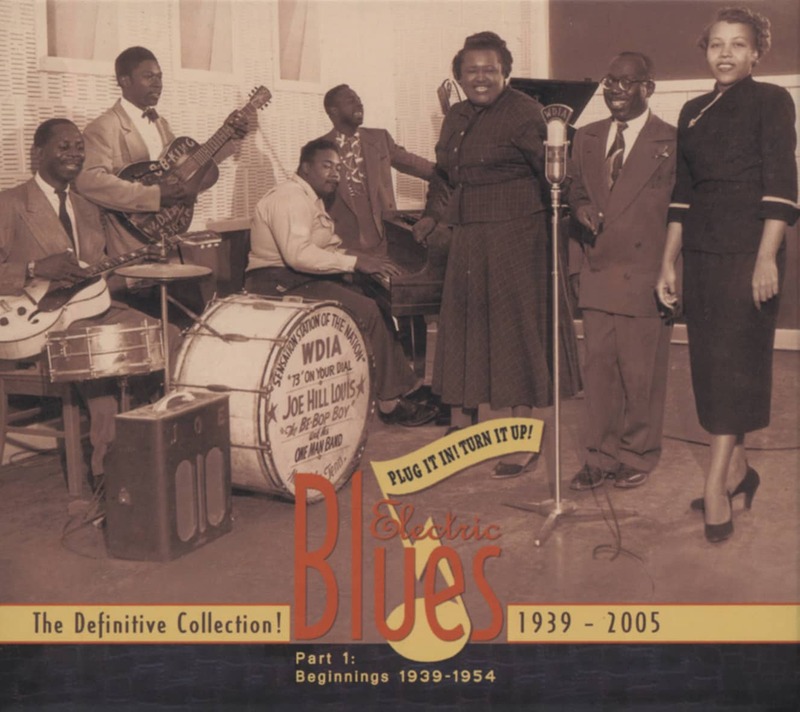 After supervising Elmore's '59 comeback hit The Sky Is Crying in Chicago with the guitarist's own Broomdusters in sturdy support (see Disc Five), Robinson had helmed a couple of James dates at Beltone Studios in New York with the cream of the city's blues sessioneers behind him. 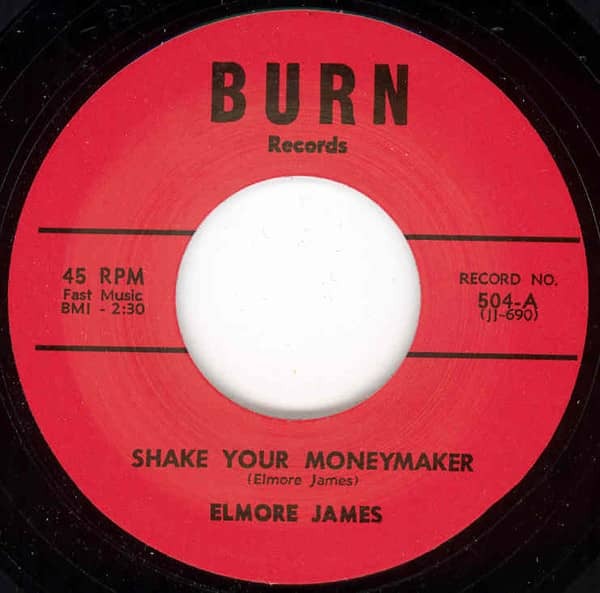 But Elmore was now living mostly in Jackson, Mississippi (problems with the Chicago musicians union made it all but impossible for him to secure work there), so James met Bobby in the Crescent City to record with his Jackson-based band: Johnny 'Big Moose' Walker rattled the 88s, Sammy Lee Bully stroked the electric bass, and King Mose Taylor was on drums. The non-union session was held under sweltering conditions that don't seem to have slowed the tough little combo down any; Moneymaker rides a fluid glide that's different from the grinding thrust that his platters traditionally had. This is no Dust My Broom retread, but fresh territory for James, whose vocal is all but unintelligible in spots yet thoroughly compelling from one end to the other. Of course, his savage slide work connects as solidly as ever. Robinson had searched long and hard to locate Elmore prior to the date that spawned The Sky Is Crying, and the producer remained faithful to him to the end. That sad day arrived unexpectedly on May 24, 1963, when James succumbed to a heart attack at his bassist 'Homesick' James Williamson's house on Chicago's near North Side. He was only 45 and had long suffered from a bad ticker. With help from local deejay Big Bill Hill, Elmore had straightened out his longstanding dispute with the union and was primed to resume performing in the Windy City when he died, as well as planning his first European tour. The electric blues idiom has seen its share of iconic slide guitarists over the decades. For a great many enthusiasts of the genre, there can be no better example of the crashing power of cold bottleneck or metal tube incisively applied to six amplified strings than the classic lick powering Elmore's Dust My Broom. Customer evaluation for "Shake Your Moneymaker - Look On Yonder Wall"